Niagara-on-the-Lake features a lush tapestry of farms, forests, rivers and historic properties that offer picturesque scenes at every glance. No visit to Niagara-on-the-Lake would be complete without taking in this beauty. Fortunately, there is a wide range of tour options and popular attractions available that can have you standing among the vines, bicycling along farmer’s fields, chasing ghosts in the town of Niagara-on-the-Lake, or enjoying an up-close view of Niagara Falls. READY TO MAKE THE MOST OF YOUR TIME IN NIAGARA-ON-THE-LAKE? Welcome to the ride of your life in our amazing TESLA Model S! A FREE virtual walking tour of 1812 Niagara. Discover the rich history of our little town! Are you ready for a time travel adventure? 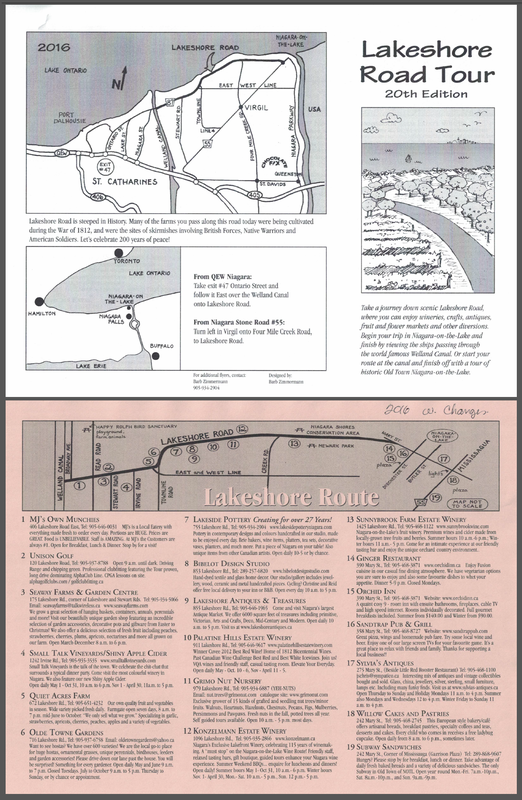 Take a journey down scenic Lakeshore Road. Free self guided road tour from the Welland Canal to Historic Old Town Niagara-on-the-Lake.